Home > Departments > Faculty > Halina Brown Ph.D.
After receiving a Ph.D. in chemistry from New York University, Halina Brown conducted research on cancer induction by chemical carcinogens. Interest in environmental cancer policy led her in 1980 to become chief toxicologist and public health policy advisor to the Commissioner of the Massachusetts Department of Environmental Protection. In 1985 she joined the faculty at Clark University. During two decades at Clark, Professor Brown’s interests expanded to include: the role of modern corporation in sustainable development; the interplay of technology, culture, institutions and markets in achieving a transition to a sustainable economic system; cross-country comparative environmental policy, with emphasis on Poland and the European Union; and corporate management of environmental and occupational hazards in a global economy. Brown has conducted research in several international settings. In 1991 she was a visiting professor at the Institute of Occupational and Environmental Medicine in Warsaw, Poland, where she studied the relationship between pollution and lung cancer. 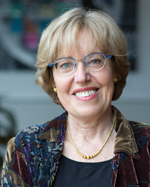 In 2001 she was a visiting professor at University of Delft, the Netherlands, where she studied sociotechnical innovation through small scale experiments. In 2005 she was a visiting professor at University of Utrecht, the Netherlands, where she studied the socio-technical system of housing construction and its barriers to innovation. Brown is a fellow of the International Society for Risk Analysis, fellow of the American Association for the Advancement of Science, a board member of the Greening of Industry Network, and has served on numerous advisory committees for the U.S. Environmental Protection Agency, the National Science Foundation, the National Academy of Sciences, and the Commonwealth of Massachusetts. She has consulted extensively on matters of health risk assessment, toxicology, and public policy. During the past several years Brown has concentrated on research in three areas. The first area concerns the role of small scale experiments as the means for affecting a transition to more sustainable large scale socio-technical systems. Her primary focus has been on the built environment, which she views as a complex socio-technical system. Jointly with Dr. Philip Vergragt of Clark’s Marsh Institute, Brown has been instrumental in creating the Worcester Housing, Energy, and Community Collaborative, WHEC, a multistakeholder project that seeks to create a major push toward retrofitting residential houses in Worcester while at the same time creating jobs, developing knowledge networks, producing institutional and policy innovations, and facilitating local economic development. The WHEC project is one of several projects developed through the Socio-technical Transition Initiative at Clark’s Marsh Institute. The second research area concerns the process of institutionalization of voluntary reporting on environmental and social performance as an instrument for holding corporations accountable to the society. This 4 year project, supported by a grant from the National Science Foundation, examined the emergence of Global Reporting Initiative as a global institution and investigated the nature of this institution. The research also conducted a cross country comparison of the role of GRI, including the U.S., the Netherlands, France, and Brazil. One of the major findings from this project has been that the initial strategies of institutional entrepreneurs have profound impact on the nature of the emergent institution. The project also leads us to question to widely held assumptions among academic and policy communities about the power of information disclosure as an effective tool for private-civil regulation. The third research area concerns sustainable consumption. The current international financial collapse and the global climate crisis both persuasively demonstrate that the prevailing neoliberal model of economic growth is highly unsustainable. To initiate transformation toward a sustainable society it will be necessary to formulate a new economic paradigm that is both sustainable and equitable, and that is able to fulfill individual and societal aspirations for a “good and ethical life.” Given the intimate connections between material standards of living and generally understood notions of wellbeing, there is a critical need to link the consideration of alternative economic paradigms with debates on the notion of sustainable consumption. To that end, in 2008 Prof. Brown, jointly with Dr. Philip Vergragt of Marsh Institute and Prof. Maurice Cohen of New Jersey Institute of Technology, has launched the Sustainable Consumption Network and Action Initiative (SCORAI). Its goal is to create a vibrant network of academics and practitioners in the United States and Canada who will address challenges at the interface of material consumption, human fulfillment, lifestyle satisfaction, and technological change. The launching event for SCORAI will be an international workshop, held at Clark University on October 15-17. Brown, H. S.; Angel, D.; Derr, P. Effective Environmental Regulation: Lessons from Poland’s Experience. Praeger 2000. Brown, H. S.; Derr, P.; Renn, O.; White, A. L. Corporate Environmentalism in a Global Economy; Societal Values in International Technology Transfer, Quorum Books, 1993. Brown, H.S. and Vergragt, P., 2009. “Socio-technical experiments as agents of transition in the residential housing system: The case of Worcester, Massachusetts.” Paper presented at Urban Transitions Workshop, Manchester UK, May 7th-8th, 2009. Brown, H., De Jong, M., and Levy, D. 2009. “Building Institutions Based on Information Disclosure: Lessons from GRI’s Sustainability Reporting.” Journal of Cleaner Production. 17(4): 571-580. Levy, D., Brown, H.S., and de Jong, M. 2009. “NGO Strategies and the Politics of Corporate Governance: the Case of Global Reporting Initiative.” Business and Society. Forthcoming in 2009. Vergragt, P.J. and H.S. Brown. 2008. Genetic Engineering in Agriculture: New Approaches to Generating Societal Consensus. Technological Forecasting and Social Change. 75: 783-798. Brown, H.S. and P. J. Vergragt. 2008. Bounded Socio-Technical Experiments as Agents of Systemic Change: The Case of a zero-Energy Residential Building. Technological Forecasting and Social Change. 75: 107-130. Brown, H. S.; Angel, D. Environmental Regulatory Reform in Poland: Lessons for Industrializing Economies. Environmental Science and Technology. 2000, 34:3849-3856. Brown, H.S. ; Cook, B.; Shatkin, J. A.; Krueger, J. R. Reassessing the History of Hazardous Waste Disposal Policy in the United States: Problem Definition, Expert Knowledge, and Agenda-Setting. Risk. Issues and Health, Safety and Environment. 1997, 8, 249-272. Brown, H. S.; Goble, R. L.; Kirschner, H. Social and Environmental Factors in Lung Cancer Mortality in Post-War Poland, Environmental Health Perspectives 1995, 103, 64-70. Himmelberger, J.; Brown, H. S. Global Corporate Environmentalism: Theoretical Expectations and Empirical Experience, Business Strategy and the Environment 1995, 4, 192-199. Renn, O.; Brown, H. S.; White, A. Ethics and Value Issues in Managing Hazardous Technologies by Multinational Corporations in Developing Countries., Environmental Science and Technology 1991, 25, 1964-1969. Brown, H. S.; Himmelberger, J. J.; White, A. L. Development-Environment Interactions in the Export of Hazardous Technologies: A Comparative Study of Three Multinational Affiliates in Developing Countries, Technological Forecasting and Social Change 1993, 43, 125-155. Shatkin, J.; Brown, H.S. Multicompartment Pharmacokinetic Model for Absorption of Organic Compounds through Skin, Environmental Research 1991, 56, 90-108. Brown, H. S.; Goble, R.L. ; Tatelbaum, L. Methodology for Assessing Hazards of Contaminants in Seafood, Regulatory Toxicology and Pharmacology 1988, 8, 76-101. Brown, H. S.; West, C. R.; Bishop, D. R. Chemical Health Effects Assessment Methodology, Risk Analysis 1987, 7, 389-402.